The Avett Brothers Release New Video! Comments Off on The Avett Brothers Release New Video! 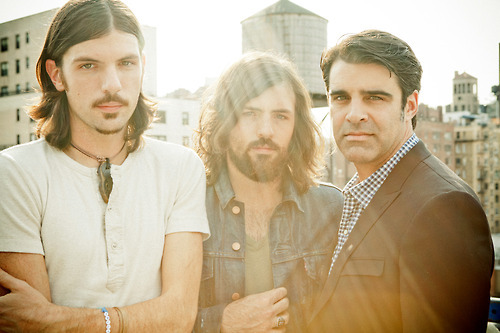 The Avett Brothers are a folk/rock/country band from North Carolina. The band consists of brothers Scott (guitar/vocals) and Seth Avett (Piano/vocals), Bob Crawford (Double Bass), Joe Kwon (Cello), and Jacob Edwards (Drums). The Avett Brothers have just recently released their music video for their track “February Seven”, which is one of my favorite songs off of their Grammy nominated album, The Carpenter. Throughout The Carpenter, songs vary from being about relationships to reflections of the meaning of life. In an interview I watched, Scott Avett said that “February Seven” is about a lesson he learned on February seventh. He didn’t say much more, but I guess he is just leaving space for listeners to interpret it in their own way. The video begins with Scott and Seth arguing, making me hope that it was just part of the script, and I believe it was. The song starts off with the lovely finger picking and vocal stylings of Scott Avett, leading in Seth’s harmonies, the cello, and the bass, followed by a brilliant melody on the piano. Most of this video takes place at Cline’s Antiques, which is located in Mt. Pleasant North Carolina. Check out the video below!